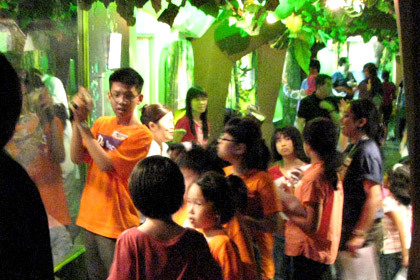 Da Vinci Creative Kids students had a fun and exciting outing at Aquaria KLCC on 17 August 2008 in conjunction with the Merdeka Day celebration! 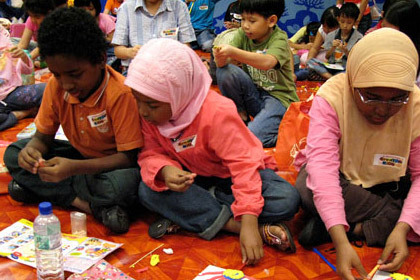 More than 60 students took part in the D'Merdeka Creative Kids Challenge which was comprised of challenges such as colouring, clay moulding and a treasure hunt inside Aquaria. The first prize winner for the challenge walked away with a cash prize of RM 300 and a hamper worth RM 150. 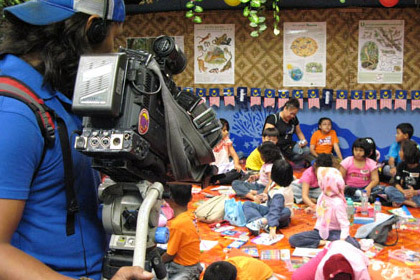 A crew from TV9 was also around to capture the event and the show was aired on the TV station on 27 August.